Don’t let them change you. Unless it’s for the better. We so easily let others define who we are, and who we will be. We let their words pour out of our hearts when we look at ourselves in the mirror. We let them dictate our choices and our weaknesses; forgetting where our strengths lie. We let them change us. We let them choose the paths we will go on in life. We so easily believe what is laid upon us, by others. We believe that we are weak. That we are ugly. We believe we aren’t talented and we believe that we are never going to get better. We let others control us. And sometimes they aren’t even in our lives anymore. But their words ring on and on and on…. And they live inside of us as if they were standing right in front of us. We weaken ourselves to the point where we can’t handle any kind of stress, tragedy, or curveball that will happen in our lives. All because we let them win. We let them change us. I’m here to tell you, you are made of MORE. Start with one thing. Then add another and another until you leave that path they had you on, and you step onto the path YOU choose. 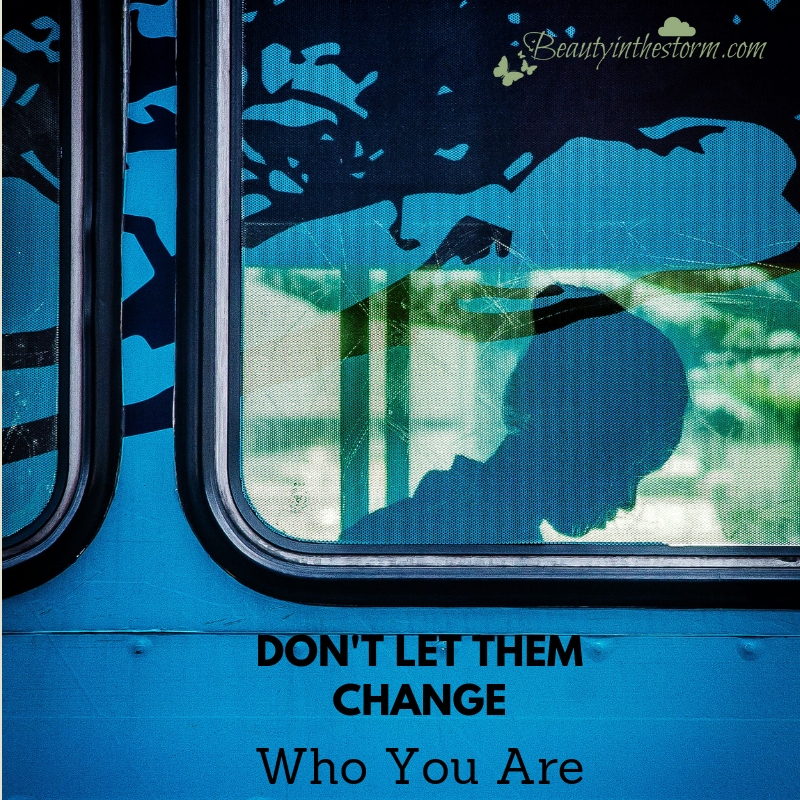 Don’t let them change you. Don’t let them hurt you anymore.